The chief of one of the largest cellphone retail chains further pointed out that the Chinese brands have established themselves in key price segments - Xiaomi in the Rs 6,000-13,000 band, Oppo and Vivo in the Rs 10,000-22,000 one. Honor is gaining share in the Rs 8,000-12,000 segment. "These price segments account for more than 80% of the overall market where no Indian brands have managed to cut the ice and Samsung is the sole non-Chinese brand to fight it out," he told the daily. As per Registrar of Companies filings for FY18, Xiaomi Technology India's revenue from operations stood at Rs 22,947.3 crore, up from Rs 8,334.4 crore in FY17 while that of Oppo Mobiles India jumped nearly 50% to Rs 11,994.3 crore in the same period. The most impressive growth was posted by Vivo Mobile India, up 77.6% year-on-year to Rs 11,179.3 crore. Meanwhile, Huawei Telecommunications India's mobile business revenue went up 56% to Rs 5,601.3 crore. Honor, a leading smartphone e-brand under the Huawei Group, claimed to have registered an unprecedented growth of 281% in the first half of 2018 and rank among the among top 2 brands in the online segment in the second quarter (Q2) of this fiscal. The combined sales of these four Chinese smartphone makers in FY18 almost doubled to Rs 51,722.1 crore from Rs 26,262.4 crore in FY17, despite already being on a higher base. However, while Xiaomi and Huawei have been profitable in the Indian market, BBK Electronics Corp's biggest brands Oppo and Vivo are yet to break even. Then, there's the OnePlus brand, which has managed to retain leadership in the Rs 30,000-plus premium segment for two consecutive quarters. India is the largest market for this brand, also a part of BBK's stable, accounting for about 30% of its global revenue that was pegged at $1.4 billion in 2017. In comparison to the Chinese performance, top cat Samsung, which has been present in India for two decades, posted smartphone sales of Rs 34,261 crore in FY17 (the latest figures are not available with the RoC yet) while Apple posted sales of Rs 13,097 crore in FY18. 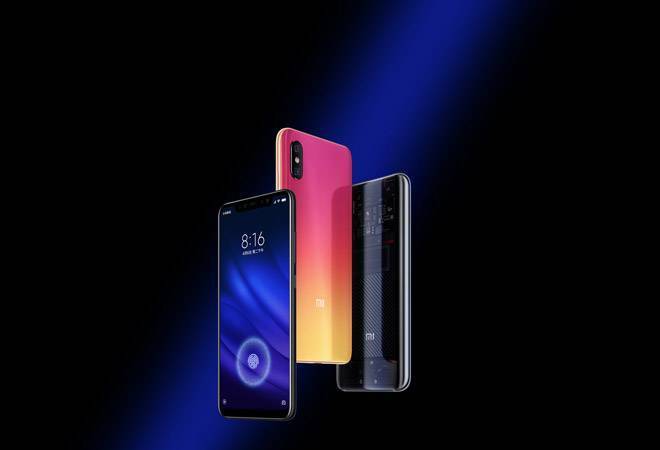 Citing analysts the daily added that the Chinese aggression in the Indian smartphone market is expected to continue in the current fiscal, courtesy factors like the growing hold of the top brands and the launch of new sub-brands such as Pocophone by Xiaomi and Realme by Oppo. The high growth of newer Chinese players like Transsion Group with its Itel, Tecno and Infinix brands are also playing a crucial role in the numbers game. This also spells good news on the job creation front. Thanks to the Make in India policies, Xiaomi, Oppo, Lenovo-Motorola, Huawei and Vivo are all investing in local manufacturing, thereby giving a fillip to employment. Vivo already employs more than 5,000 people in its plant, while Oppo is establishing two new manufacturing facilities in Uttar Pradesh. In April, Xiaomi had hosted more than 50 of its global component suppliers in Delhi to showcase opportunities in India, a move it claimed could create around 50,000 jobs and invite an investment of Rs 15,000 crore. The company has already started manufacturing printed circuit boards in Tamil Nadu to reduce smartphone production costs and improve supply.